We've added the 110's to our range of Enforcer's this season, having stocked the 93's and 100's since they first came out with great feedback from purchasers every season. We are pleased to see a lot of other folk really rate these as well and they have received awards on either side of the Atlantic this season. The 110 is a really smooth Freerider with fabulous float and despite its width it's no slouch on piste either; the 100 is probably the most versatile of the stable of Enforcers but these are at home virtually everywhere other than in the park. How do you make a powder day even better? 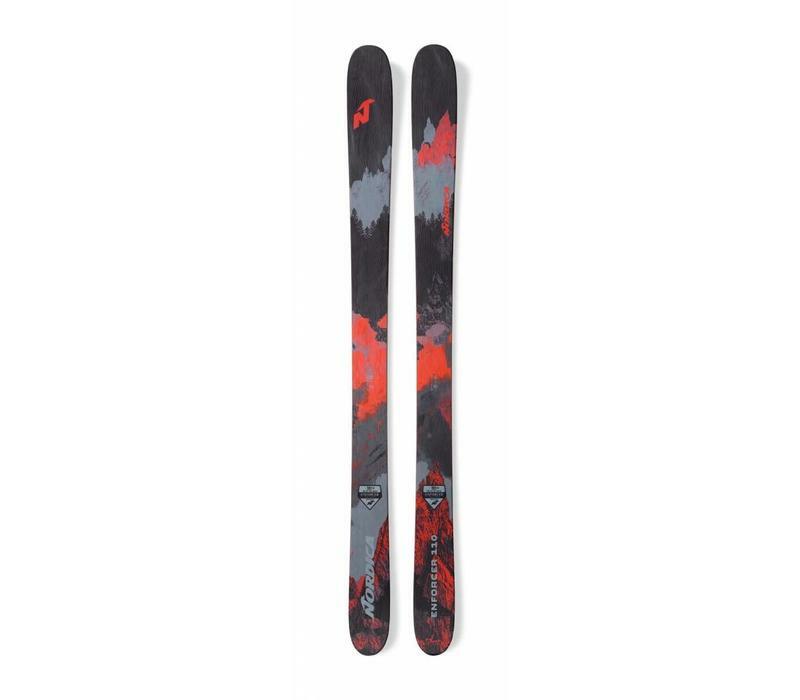 Spend it on the Enforcer 110, the most advanced powder ski we’ve ever crafted. Building on the tried and true platform of the Enforcer 100, it’s the newest addition to the Enforcer collection. Designed to cater to soft snow, the Enforcer 110 is as powerful as it is playful. To keep the ski’s weight in check while maximizing fun, it pairs a balsa wood core with carbon and two sheets of metal. This design also enhances response and dampens vibrations for an especially smooth ride. And to blast through crud and offer additional floatation, the Enforcer 110 sports a high rise tip and tail rocker. For all mountain performance tailored to soft snow, choose the Enforcer 110. The Enforcer 110 is such a great ski, I was lucky enough to try it last season and I was blown away. Its a go anywhere no nonces ski that is so fun! It's like a piste ski on the hard stuff and so buttery on the softer stuff!